Gagne: "There’s only one way to go, and that’s up"
Preparing to make his full time debut on the MOTUL FIM Superbike World Championship grid in 2018, Jake Gagne (Red Bull Honda World Superbike Team) is keen to get the 2018 season underway as he returns to the paddock as a 2018 permanent rider. After stepping in for three rounds in 2017 following the tragic loss of Nicky Hayden, Gagne impressed in the WorldSBK class, taking points scoring finishes in all but one of the six races he started. Now looking ahead to the 2018 season, which kicks off on 23rd-25th February at the iconic Phillip Island Grand Prix circuit, the 25 year old can’t wait to continue to learn and improve on the Honda Fireblade CRB1000RR SP2. WorldSBK.com caught up with the Californian rider ahead of his first test of 2018. Are you looking forward to returning to the WorldSBK paddock? What was the main thing you learnt from last year that can help to bring forward for the full season? Does it feel different racing in Europe compared to racing in America? “It is quite a bit different, everything from the tracks, the environment and the country, to the bikes and the tyres. There are a lot of differences, but once I get on the bike my helmets on its just me trying to do my thing and ride the best that I can. When I step off the bike, it’s really surreal to be in WorldSBK pit lane, the amount of fans they get in Europe is really cool. Do you think having an English team-mate with Leon Camier as your team-mate will help you, as you won’t have language barriers to face? “My expectations are to just keep improving, we were able to get two top 12 finishes in Qatar last year so I want to start getting in that top ten and working our way forward from there. There’s a lot of great riders but there’s only one way to go and I think that’s up. I’m just going to be working hard, the team’s going to be working hard, I’m really grateful I have a great crew behind me. Hopefully we are just breaking that top 10 and maybe that top 5, I want to keep moving forward, give it my all and have a great time and I’ll be happy. Which circuit are you most looking forward to riding? 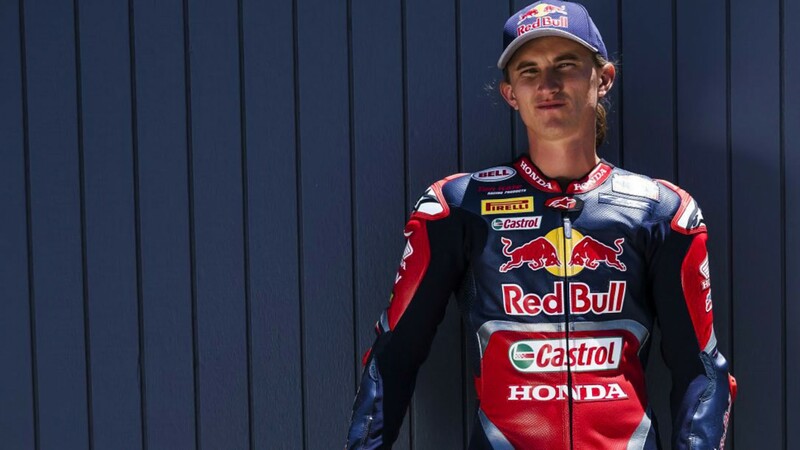 Follow Gagne’s progress with the Red Bull Honda World Superbike Team all with exclusive access on the WorldSBK VideoPass.